Vascular Organoid, illustration based on original data. These lab-made blood vessels recapitulate human capillaries. 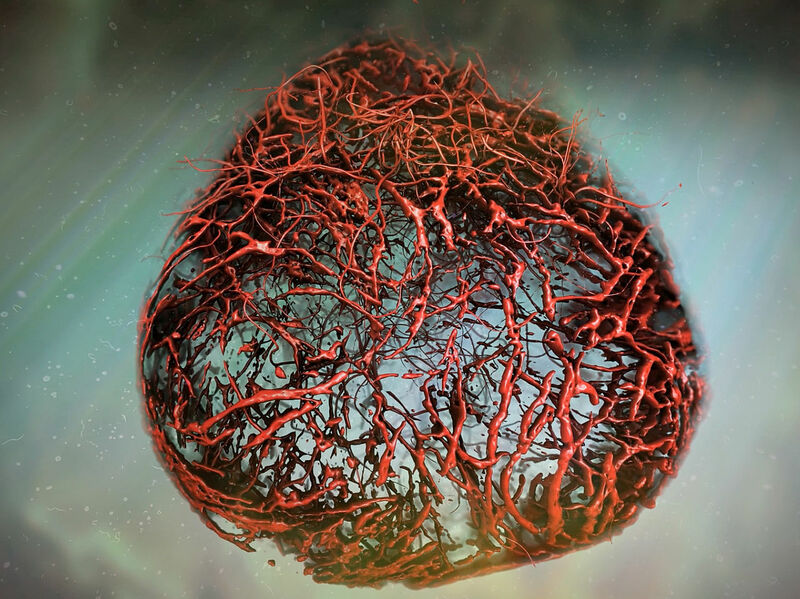 To tackle this problem, Josef Penninger and Reiner Wimmer at IMBA - Institute for Molecular Biotechnology of the Austrian Academy of Sciences established a groundbreaking model: self-organizing, three-dimensional (3D) human blood vessel organoids grown in a Petri dish. These so called vascular organoids can be robustly cultivated from induced pluripotent stem (iPS) cells in the lab, strikingly mimicking the structure and function of human blood vessels. "What is so exciting about our work is that we were successful in making real human blood vessels out of stem cells." Diabetic blood vessel changes in patients and human vascular organoids The basement membrane (green) around the blood vessels (red) is massively enlarged in diabetic patients (white arrows). This results in impaired blood vessel function and reduced supply of oxygen leading to the severe complications of diabetes such as kidney failure, blindness or amputations. 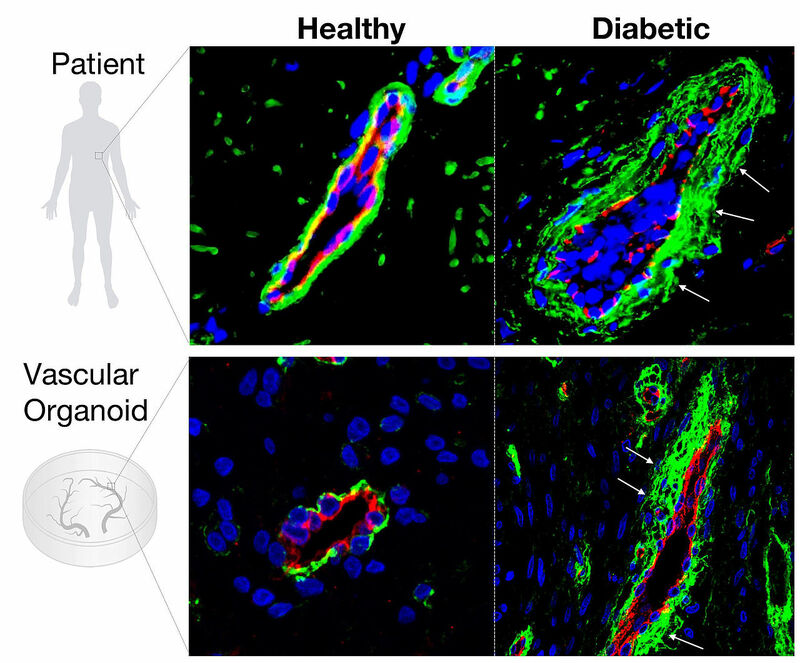 The human vascular organoids that were made “diabetic” in the laboratory recapitulate those basement membrane changes and can now be used as diabetic model in the lab to identify novel therapeutics. This film was produced by EuroStemCell partner, IMBA in collaboration with Dr. Reiner A. Wimmer.